AccuWeather shares tips on how to protect yourself from the flu. RALEIGH (WTVD) -- A total of 179 people in North Carolina have died from the flu this season, according to the North Carolina Department of Health and Human Services. 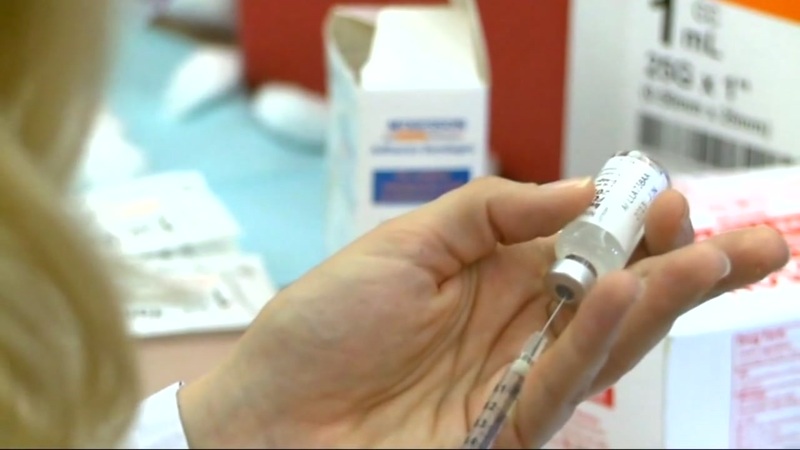 The latest flu numbers were released April 6. Over the last recorded week, there were two new flu-related deaths. In North Carolina, 391 flu deaths were reported during the 2017-2018 flu season -- the most reported during a flu season since adult flu deaths became reportable in the state in 2009. Of those 391 deaths, 290 were people age 65 and older and seven were children under the age of 18. Duke Pulmonologist and Critical Care Physician Dr. Talal Dahhan said that unfortunately, many patients who are contracting the flu are becoming seriously ill and landing in the hospital. "We have had a significant number of referrals for critically ill patients who need advanced mechanical ventilation and sometimes extracorporeal support or what we call ECMO," Dr. Dahhan said. The department of health defines a flu-related death as a "death resulting from a clinically compatible illness that was confirmed to be influenza by an appropriate laboratory or rapid diagnostic test with no period of complete recovery between the illness and death." Flu season is here, and North Carolina health officials are urging residents to get vaccinated. Officials are already reporting that influenza cases are higher than this time a year ago. The CDC recommends vaccination against the flu for everyone 6 months and older. "Vaccination, vaccination, vaccination is the most important," Dr. Dahhan said. He said a flu shot is still your best defense and that the available vaccine actually works very well against most strains. "There are anti-viral drugs to control the viral load rise and they are available and they work better if we recognize the influenza virus early to control the disease." Extreme fatigue, high fever and chills are textbook markers of the flu.